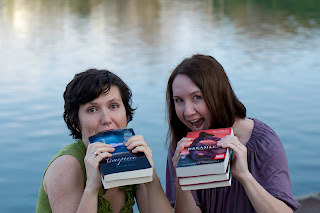 Michelle & Allison devour books. Ha! 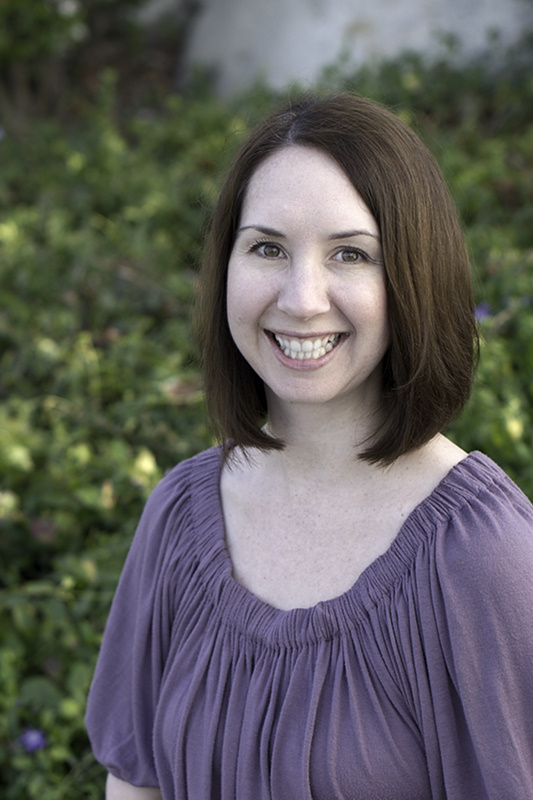 Michelle is originally from the Midwest, but has lived out in SoCal for a while now. She lives in Orange County with her husband and adorable son. Her "day job" is as a voice actor. You can hear her on commercials, video games, anime, you name it! She loves what she does and is incredibly grateful to be living her dream. In addition to voice acting, she reads a lot and is so happy she gets to share her love of books with all of you via the podcast. 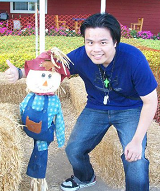 Allison is a Southern California native and has the accent to prove it. 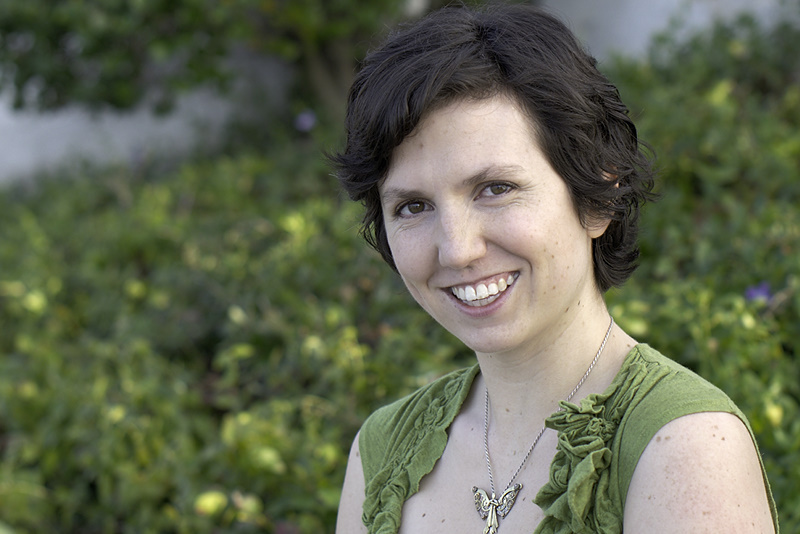 A lifelong reader of children's and teen literature, she's found her perfect career in teen services librarianship, and she loves connecting young people with books they'll get excited about. She married her college sweetheart and they live in a cozy house with their two small and delightful children. 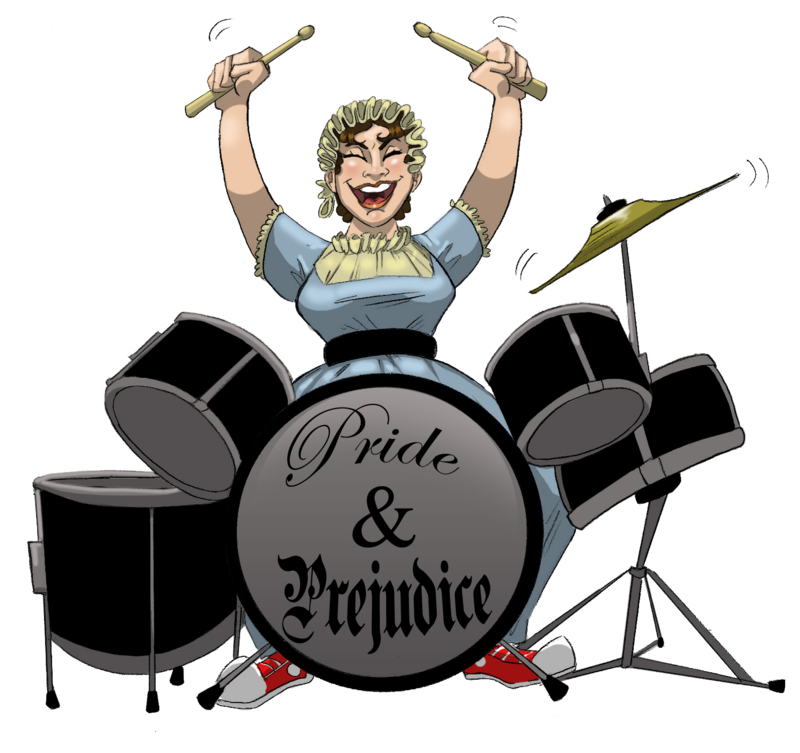 She reviews books and apps for School Library Journal and blogs about youth literature and librarianship at Reading Everywhere. Our teen correspondent, Ava, was born in Fayetteville, Arkansas but now resides in Southern California, and has since the age of four. Growing up, she'd always been what she now calls a "Storymaker," but was never a reader until, one day at the age of thirteen, she picked up Harry Potter and the Sorcerer's Stone and was forever changed. Now eighteen, she's ears-deep in the world of YA literature, reads as much as she can, and an aspiring YA author. 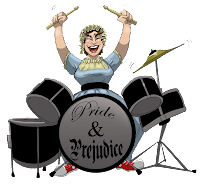 And let's not forget our awesome mascot, rockin' Jane Austen! 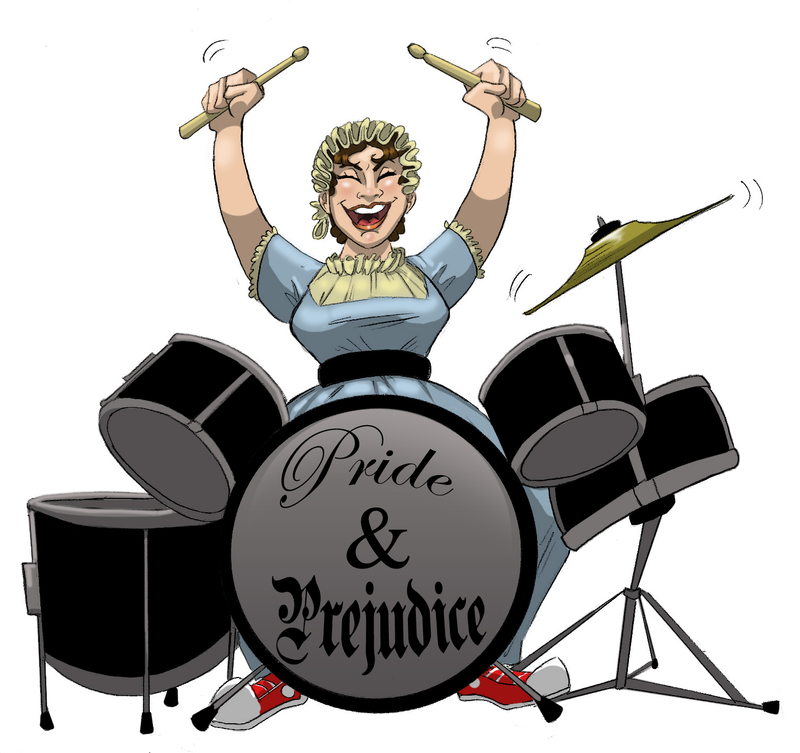 Jane and her drums Pride & Prejudice were drawn by the talented Talia over at Ellistic.net. Thanks, Talia. You are AWESOME.